We offer Jr. Muay Thai classes for 5-8 year olds and 9-15 year olds. 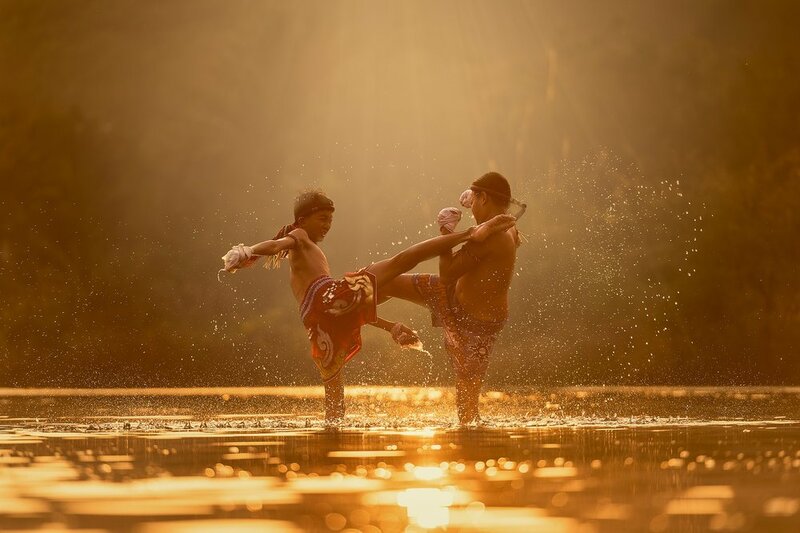 Students learn all the physical aspects of Muay Thai, but more importantly they learn the respect, discipline, confidence and focus that this special martial art offers. We offer a special Work Out While You Wait program which includes use of our state-of-the-art gym for parents/guardians while your child is in class. We progress students through a 3 Level system. Each level has three stars that represent different parts of the journey in Muay Thai. Once you collect three starts of your current level, you can move up to the new level. Blue Star: The first star represents the beginning of Muay Thai journey. In the sport of Muay Thai, the less experienced fighter fights out of the blue corner. Red Star Star: The second star represents when a student has a better understanding of their material and are more experienced. In the sport of Muay Thai, the red corner is represented by the champion. Gold Star: The third star represents the final stage of your level of information. In the sport of Muay Thai, you are given the opportunity to win belts and trophies. This is the ultimate goal of most competitors. Uniforms are required and include shorts, a shirt, and gloves. Higher levels require additional equipment. We are also happy to announce we host BIRTHDAY PARTIES, SCHOOL OUTINGS, and a SUMMER CAMP every year that is a blast! Want to join us? Email us for more information. 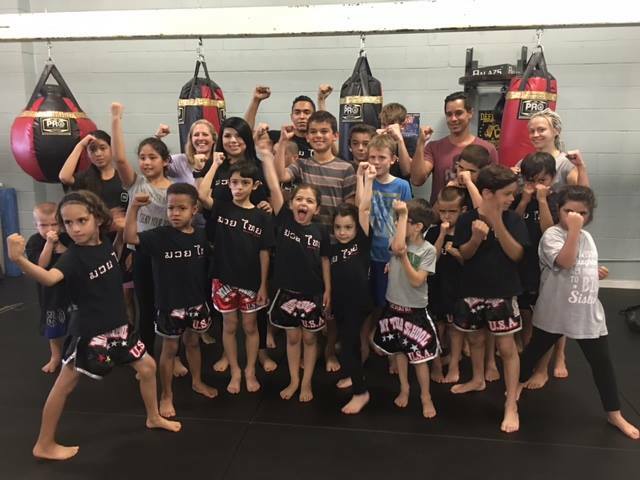 CELEBRATING A 9TH BIRTHDAY PARTY, MUAY THAI SCHOOL USA STYLE!